If you have a Shopify store, then you likely already know that the market is forever changing, especially in the online marketplace. Therefore, to keep your sales at their highest, your pricing strategies have to change along with the prevailing market conditions. Dynamic pricing strategies will allow your store to be at the forefront, and still make profits, no matter the conditions of the market at that time. Not a lot of people know how to use dynamic pricing strategies for their Shopify stores, however, and this can lead to a bit of confusion in how to see returns on their investments. In an effort to take that away confusion, let’s break down dynamic pricing strategies, so you can learn how to use them in your Shopify store successfully. In dynamic pricing, a price is never firmly set. Instead, it is constantly changing to suit the current market conditions. It is similar to the law of supply and demand in that when the demand is up the prices go up, and when supply is up the prices go down. 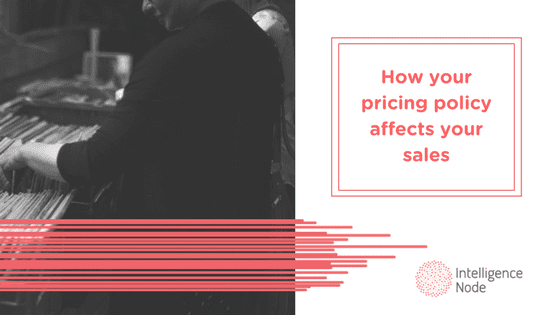 The difference between supply and demand and dynamic pricing is that dynamic pricing relies on more than just whether or not the customer wants the product. In this case, the customers already want the products but the amount of profit you make depends on more than just demand. Knowing what time of year your products are in the most demand is the first factor to consider in your pricing strategy. In the season of highest demand, your price will go up to maximize profit. Typically buyers will pay more for products at certain times of the year. For example, during the holidays. It’s not uncommon for consumers to pay above average for products to get that perfect gift for their loved ones. Conversely, if your store specializes in football accessories, odds are your sales will not be going up during basketball season. When consumers pay more for a product, they expect fast delivery. If your Shopify store delivers items quickly, then it stands to reason that you can get away with charging a higher price. The cost of convenience generally justifies the higher price. However, if you take longer than the expected delivery time, your customers could be left feeling duped by your higher price and next time may go to your competitor. This is one element of dynamic pricing strategies that has been seen as controversial to some, and that is because some groups will be given different rates than others. The idea is that the standard of living is higher in some parts of the country, so charging more for those products won’t be as big of a deal. In lower standard of living areas, the prices will be lower so that they can still purchase the product, but your store can still make a profit. It’s important to note that the key here is not to change pricing solely based on race, gender, or sexual orientation. Although difficult to prove, you don’t want to open your online store up to that kind of scrutiny. Similar to time of year pricing, if the demand is high, the price can go up. The difference here, however, is the sudden surge may have nothing to do with the time of year. For example, if you have a product in your Shopify store that Kim Kardashian happens to promote randomly on Instagram, you could see a spike in sales. During this peak time you can maximize your profits by adjusting your price. If there is a customer that buys your products in bulk, or they are always there to buy from you, then it is good idea to make an exception for this customer, and reduce the price for them. It may be risky for first time bulk buyers, as they may not be a return customer. On the other hand, they could become exceptionally loyal allowing you to not only recover quickly from the discount, but make a higher profit overall. Hint: You can utilize technology from software like IntelligenceNode’s Incompetitor to analyze these price peaks in real time and adjust, automatically. These are just a few of the factors you can use in your dynamic pricing strategy in your Shopify store. Be flexible, keep an eye on demands, and be sure not to focus solely on exploitation of customers. By pricing your goods based on the market conditions, your store should be able to make a consistent profit all year long. Pricing strategy is rightfully one of the most heavily debated aspects of any business. No matter what your product is or where you lie within your industry, your price point will inescapably be among the biggest questions you have to consider.